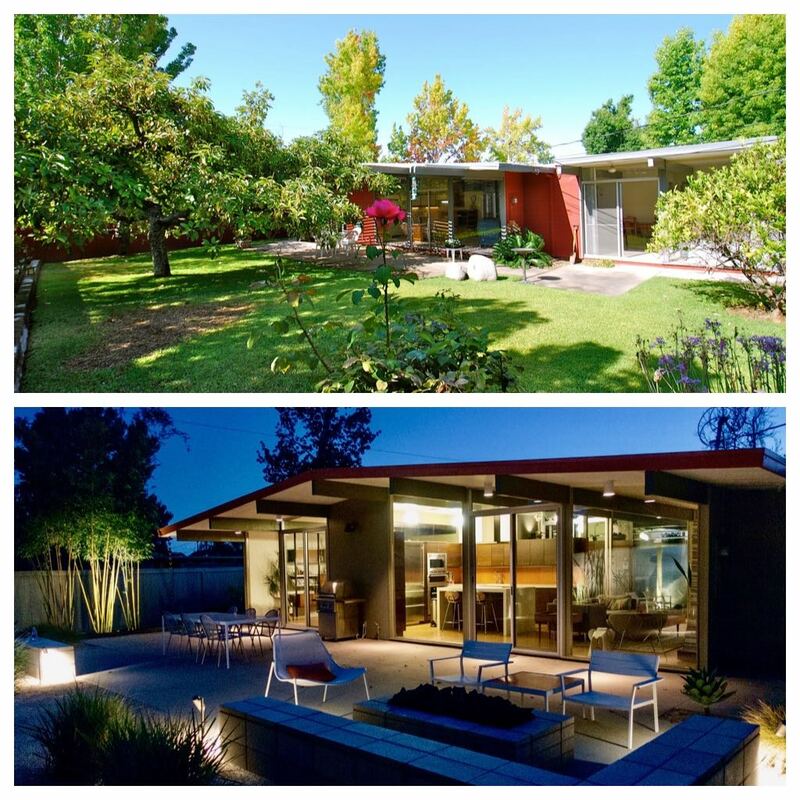 Last week we had a chat with Hanh about the why and how she decided to buy an Eichler house. Today, she will tell us what buying a mid-century house brings, what she had to renovate and why. Also, she will give some very useful tips about buying the right Eichler so, be sure to read the interview till the end. 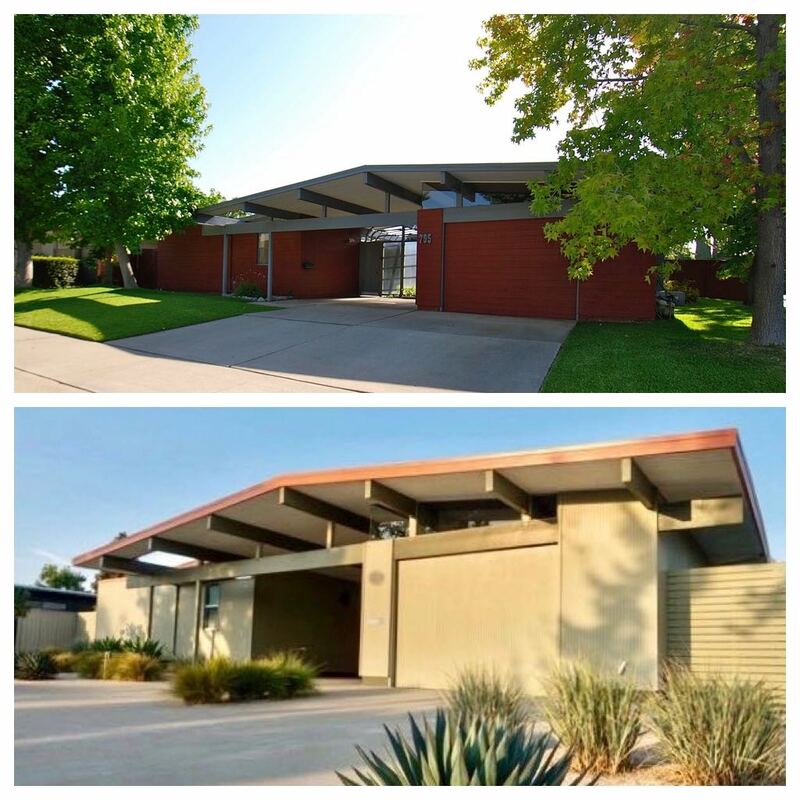 I think there are three types of Eichler renovations, the purist, the moderate and, maybe, the modernist. I think our renovation falls in the middle: moderate. 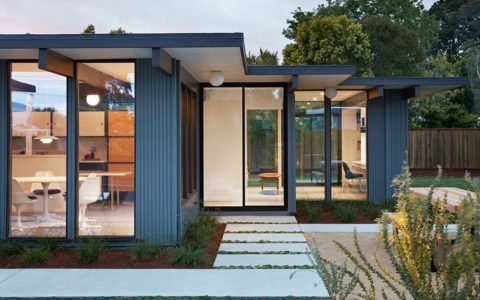 We updated our Eichler to today’s standard without changing the layout of the house or deviating it from the intent of the home or the architects. Renovated the master bathroom. We kept the original footprint of the bathroom but removed an interior divider between the shower and sink, which opens up the area. We also added a pocket door to allow for some privacy. Replaced all single pane sliding doors, glass panels, and windows with dual pane glass. This helped improve energy efficiency during the summer and winter months. We replaced the roof with a new foam roof and added additional skylights to allow for more lighting in certain pockets of the home. If you compare the house today vs when we bought it, I don’t think you can tell that is the same house. 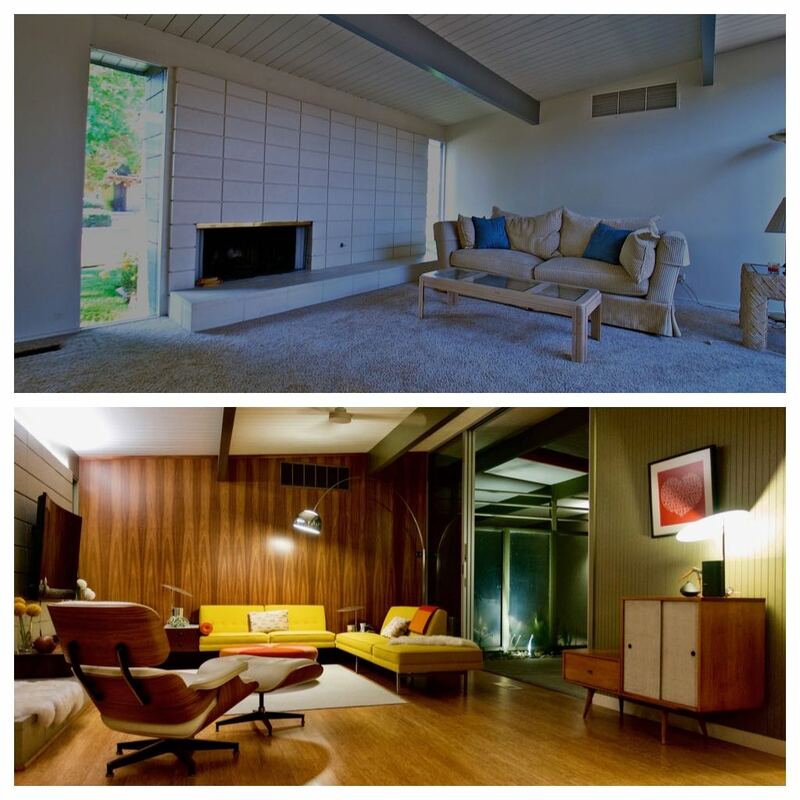 In general, what are the advantages, and struggles, of living in a mid-century house? As for the advantage, we have a lot of natural light throughout the house, the neighbors are friendly and the sense of community here is wonderful. We have a neighborhood page on which we share information and make monthly dinner plans, as well as the annual Progressive parties and the July 4th Pancake Breakfast. In addition to this, various neighbors will host parties at their home and invite all the neighbors to attend. The struggles have focused mainly around heating, cooling, insulation, and the keeping the house dry. We cannot fathom owning houses like this in a less moderate climate than Southern California, even after replacing all of the windows and doors with dual pane glass. 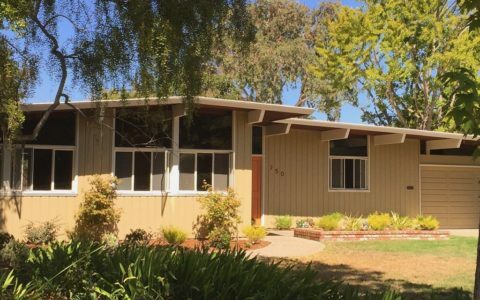 Replacing the roof with a new foam roof, helped with the insulation and provided the peace of mind: Eichler homes are known for their roof leakage. 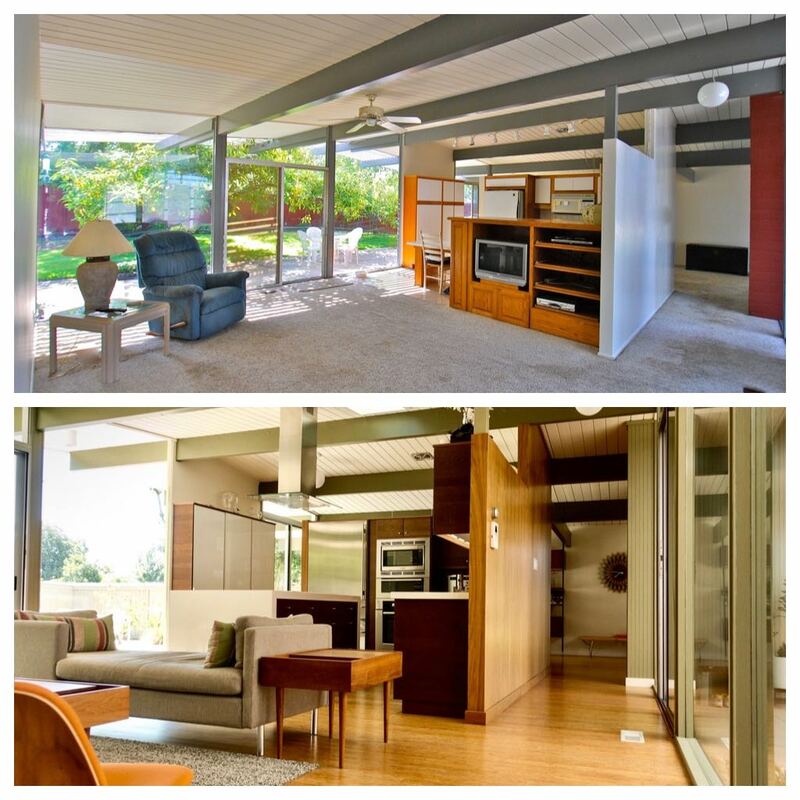 Do you have any tip for people interested in buying an Eichler house? What they should pay attention to and why? 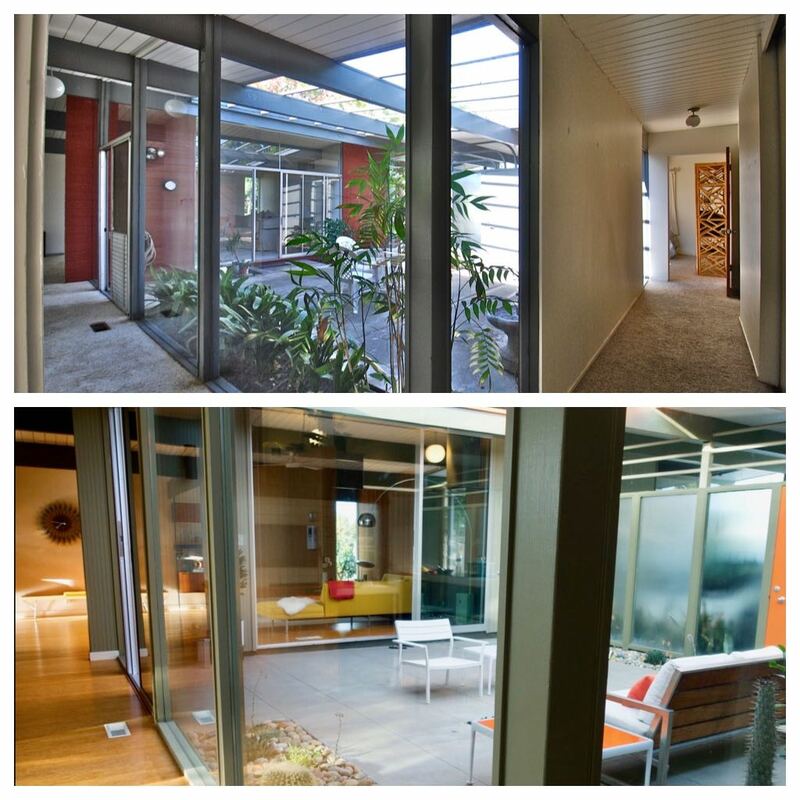 Most first-time Eichler buyers are drawn to the overall look and feel but they overlook the details. Does the house have original features such as siding, paneling, door knobs, light switches, globe lights, kitchen, baths, etc.? 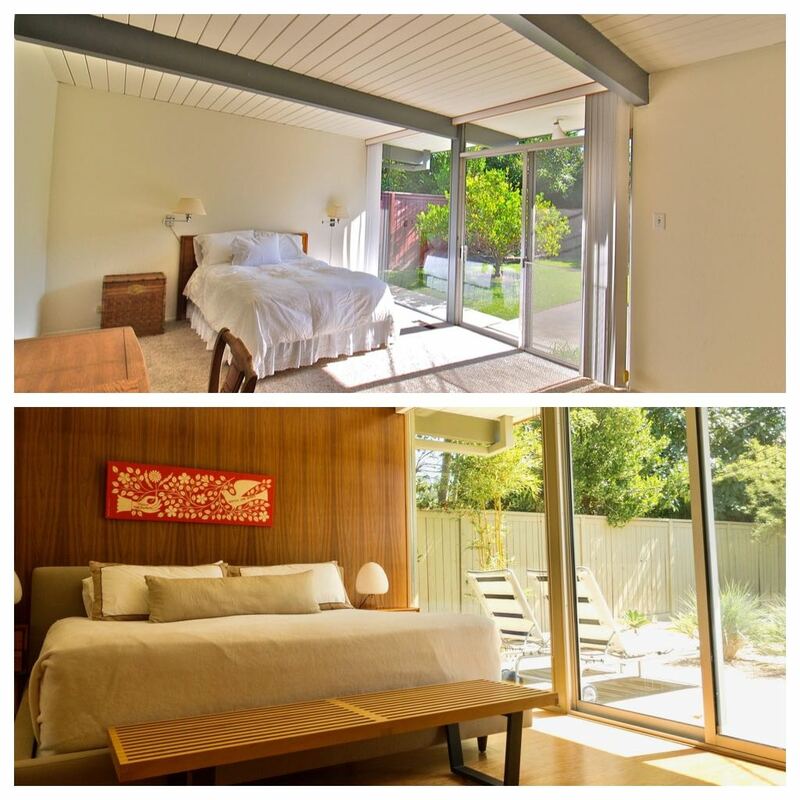 If you are an Eichler purist, these are the things you would want to keep. 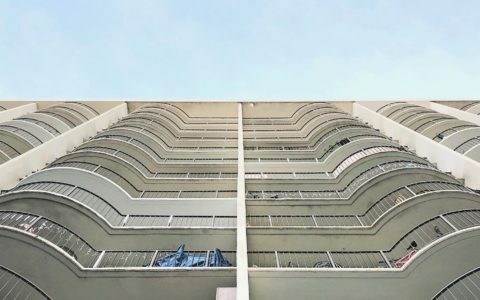 Undoing someone else’s attempts at “updating” the house can be difficult and expensive, as can tackling decades of deferred maintenance. If possible, ask neighbors if the house has been maintained or how it looked before it was listed. This can provide useful clues to how well the house may have been maintained. In addition, have a good roofing company to access the condition of the roof.